Subsequent to the launch of the Yamani CD in July, QILAC was approached by the Queensland Art Gallery/Gallery of Modern Art (QAGOMA) to advise on protocols around the use of language at QAGOMA. The Yamani group was then asked perform at a launch event for the eighth Asia Pacific Triennial (APT8). 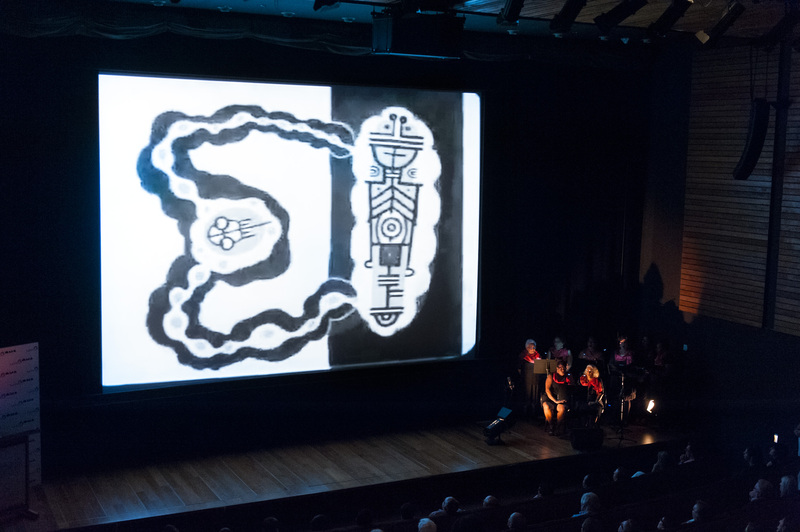 For the performance, QAGOMA curators commissioned an original score in response to Len Lye’s film Tusalava (1929). The composition incorporated language provided by each of the Yamani artists and was performed by the group as a ‘special event’ opening the APT8 Conference. The conference was attended by museum and gallery representatives from around the world and was a ‘sold out’ event.